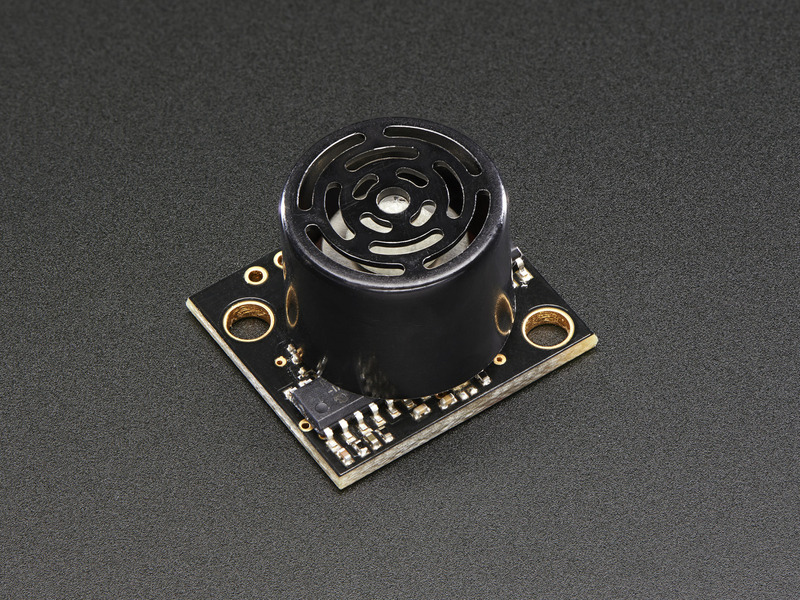 The HRLV-MaxSonar-EZ sensor line is the most cost-effective solution for applications where precision range-finding, low-voltage operation, space saving, and low-cost are needed. 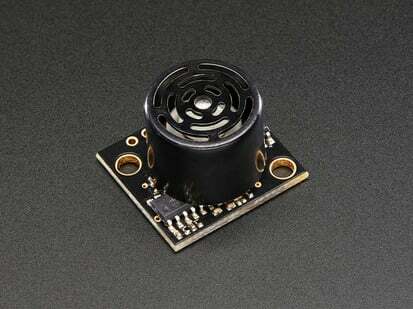 The HRLV-MaxSonar-EZ sensor line provides high accuracy and high resolution ultrasonic proximity detection and ranging in air, in a package less than one cubic inch. This sensor line features 1mm resolution, target-size and operating-voltage compensation for improved accuracy, superior rejection of outside noise sources, internal speed-of-sound temperature compensation and optional external speed-of-sound temperature compensation. 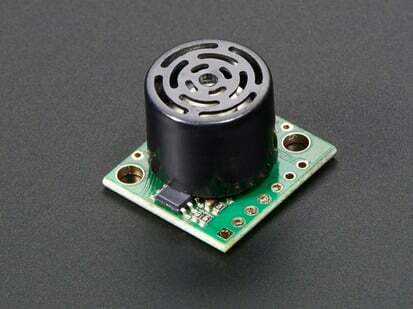 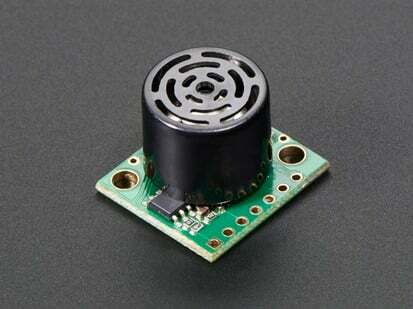 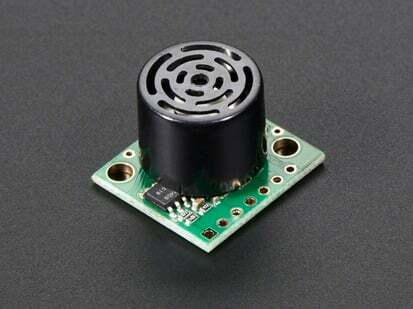 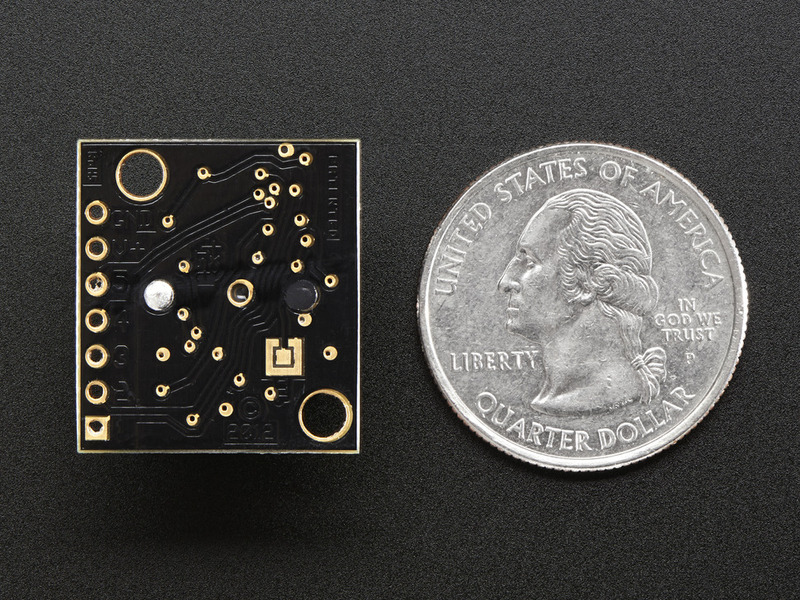 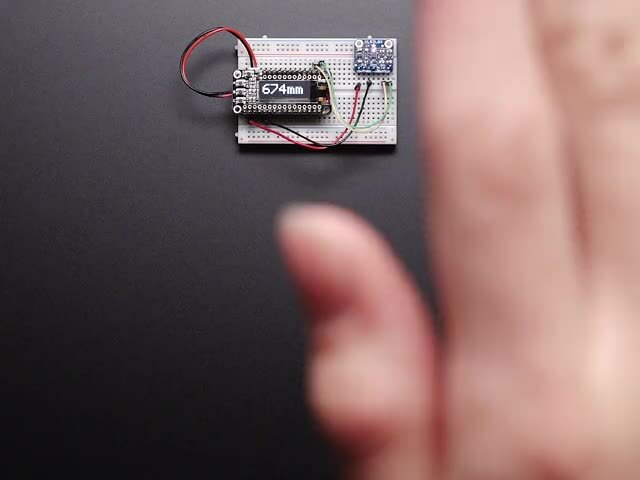 This ultrasonic sensor detects objects from 1mm to 5meters, senses range to objects from 30cm to 5meters, with large objects closer than 30cm typically reported as 30cm. 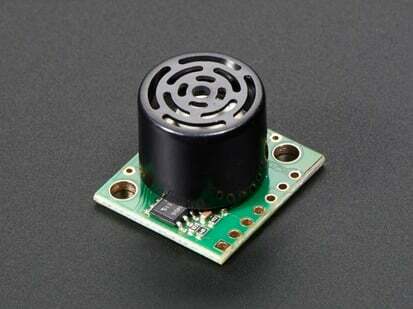 The interface output formats are pulse width, analog voltage, and serial digital in either RS232 or TTL. 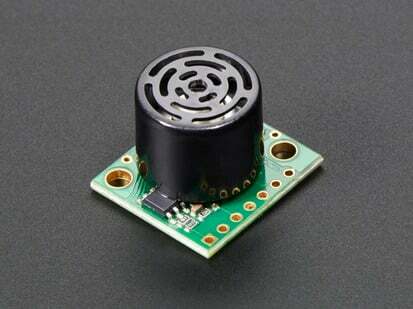 Factory calibration is standard. 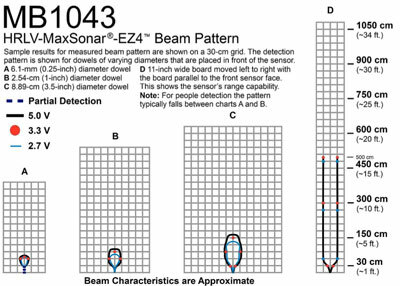 HRLV-EZ4 Data Sheet / Product Information Guide is available here. 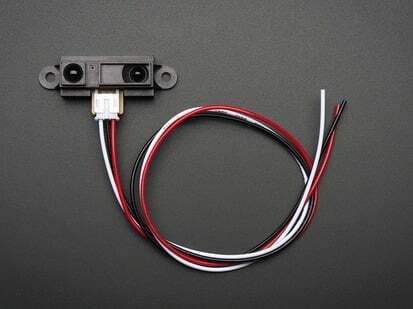 By default this sensor outputs RS-232 logic level data, to use it in TTL logic mode, solder closed the square jumper on the back.